This Saturday sees a marathon-like race along the Thames from Docklands to Ham. 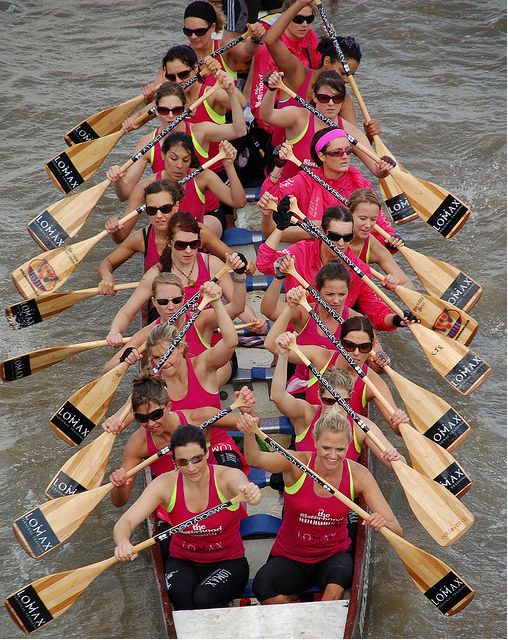 The Great River Race, possibly known as GRR! to those who take part in the grueling 21-mile slog, attracts over 300 crews, including serious competitors and sweaty funsters in fancy dress. The action begins at 10.40am at Millwall Docks slipway. A handicap system sees the slowest boats set off first, and the fastest last, which means anyone could win. The best time to catch the boats in central London is between 11am and midday, with the winners reaching Richmond sometime after 1.30pm. The crew will enjoy a cannon broadside and receive the Challenge Trophy of The Company of Watermen & Lightermen. 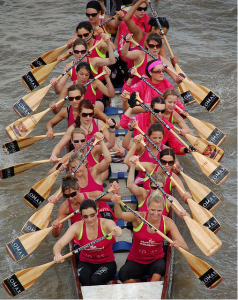 The Great River Race, Saturday 15 September, 10.40am-2pm, along the Thames. Photo of the 2009 race by McTumshie in the Londonist Flickr pool.